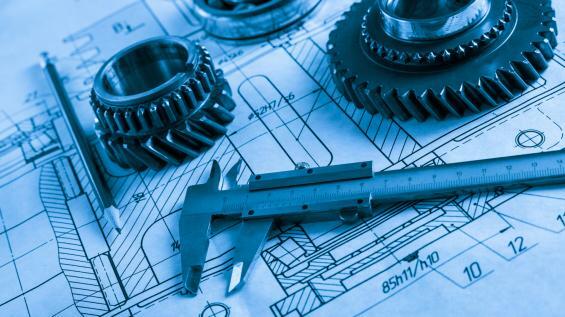 The HNC / HND Engineering provides a specialist work-related programme of study that covers the key knowledge, understanding and practical skills required in the engineering sector. There are a choice of three different pathways that offers particular specialist emphasis through specialist units. HNC / HND’s provide a nationally recognised qualification (120 credits) offering career progression and professional development for those already in employment and opportunities to progress on to an honours degree programme. This qualification is delivered at Peterborough Regional College and offers full-time and part-time study options. The courses at Peterborough Regional College are studied in smaller class sizes with a typical class size under 30 students. Many students on this course are in full-time employment in engineering roles and core modules are relevant to the workplace. Students will learn the principles of engineering by experienced professionals. There are excellent job opportunities in Peterborough and the surrounding area as the course has strong links with local employers. After successful completion of the HNC or HND Engineering, you have the opportunity to complete the BEng (Hons) Electrical and Electronic Control Systems Engineering, BEng (Hons) Mechanical and Manufacturing Engineering or BEng (Hons) Integrated Engineering Top-up to obtain a full honours degree. Students who do not qualify by any of these qualifications should call 01733 214466 or email admissions@ucp.ac.uk to discuss equivalent qualifications such as Bridge to HE in Engineering or relevant work experience. An interview might be required in these circumstances. You must have GCSEs English, Mathematics and Science at grade C or above. If English is not your first language you will require IELTS score of 5.5 or an equivalent English Language qualification. Click here for the policy on APL and APEL. You must take units worth 120 credits at each level of the course. Each unit is worth a specified number of credits. Click here for more information about each of the core modules (Electrical and Electronic Engineering). Click here for more information about each of the core modules (Manufacturing Engineering). Click here for more information about each of the core modules (Mechanical Engineering). All units are usually 15 credit in value. A typical unit is 150 hours includes 36 hours of tutor led delivery and 114 hours of recommended independent study. A full-time student should expect to undertake 30 additional hours per week during term-time. For details of progression and module scenarios please refer to page 5 of Academic Regulations. For details of assessment offences please refer to Academic Offence Policy. When studying this course we will timetable your lectures into one of two full days a week over two semesters per year (see Duration and delivery for exact details). Each semester is up to 15 teaching weeks. If studying full-time you will be in classes, seminars and tutorials for approximately 15 hours per week and will spend the rest of your time in independent study and extra-curricular activities. We recommend that full-time students allow up to an additional 30 hours per week for additional study. The campus is open Monday to Friday throughout the whole year and open late until 9.00pm from Monday to Thursday during term time. Timetables are available at least one month before enrolment and you can refer to the academic calendar for teaching weeks. Note that the days of the week you study may change each year and in some circumstances one of the full days might have to be split into two half days, but we aim to keep these as full days where possible. We will provide, by the beginning of the first week of each semester, a current assessment brief with all the information you need for each unit, including details of assessment tasks, the deadlines for these tasks, the required format and any relevant guidance. After successful completion of the HNC Engineering (Level 4), you have the opportunity to complete Level 5 and 6 of the BEng (Hons) Electrical and Electronic Control Systems Engineering or BEng (Hons) Mechnical and Manufacturing Engineering to obtain a full honours degree. I am the Course Leader for the BEng Engineering degrees at University Centre Peterborough and HNC/HND Engineering qualifications at Peterborough Regional College. I have been teaching since September 2009 and joined University Centre Peterborough in December 2012. Prior to teaching, I worked in industry for 11 years and have a background in electronic and manufacturing engineering, working for Walkbury Electronics Ltd and further experience at Perkins Engines Co Ltd/Caterpillar Inc. When you have chosen a course to study, your next step is to make an application. Click here for our complaints policy.